That’s the question I most often hear after I introduce the concept of rewards to improve behavior. Some parents are resistant to the idea because they assume rewards and bribes are synonymous. They aren’t. There’s actually a huge difference. Rewards improve behavior while bribery can make it worse. Here’s why. Children learn at an early age to act in certain ways to accomplish their goals. Generally, kids want more of something desirable (cookies, attention, bedtime stories) or to avoid unpleasant stuff (carrots and baths). The way they’ve learned to achieve all that is through whining, complaining, throwing a tantrum, pushing buttons and negotiating. Parents are often so frustrated by these behaviors that at the minimum they admonish and provide lots of attention to the child. And at worst, parents just give in. When that happens parents are rewarding the very behaviors they want to stop. Rewards are really any reinforcement that encourages a behavior. For some reason, rewards can have a negative connotation. But that’s silly. Life is filled with naturally-occurring incentives. If I do good work at my job I’ll get a raise (reward). If I return a lost puppy I might garner a cash reward. Even the nice warm fuzzy feelings I receive when I bring a meal to a sick friend is a reward. And those rewards serve as inspiration for me to do those same actions again. Bribery is entirely different. Instead of warm fuzzies think negotiating with a terrorist. It may sound like strong words but that’s one important way to tell the different between rewards and bribery. When parents give out a bribe it feels icky, desperate, embarrassing. Bribes usually happen when children are acting up at the exact moment parents are most vulnerable: at the supermarket, on an important work call, waiting in the dentist’s office for an emergency root canal. In that moment of desperation the parent will offer anything for the child to behave. When that happens the kids have parents in a headlock. The kids are in charge, and they know it. Parents that use bribery on a regular basis have children that learn to exploit their parents when they are most defenseless. That’s no fun. Instead of bribing kids to behave parents should ignore all whining, complaining and tantrums. 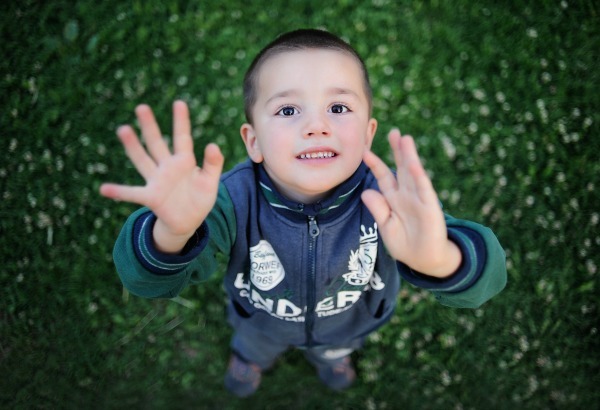 When children see that their behavior isn’t producing the desired result they will cease the behavior. Why tantrum for a toy at Target if the toy never comes? Why beg for a cookie while Mom’s on a work call if the cookie is denied? Kids are incredibly perceptive, and they don’t want to waste their time. Sometimes kids do need a little extra incentive to act in a preferred way. Parents can use rewards, set up in advance, to he­lp encourage good behavior. Decide what your child need a little extra motivation to do and reward for that behavior. So if your daughter never puts her clothes in the laundry, start rewarding her with a point for every day her laundry is in its proper place. After so many point give her a pre-determined reward such as an extra bedtime story, a snuggle, a sweet or a new app. Rewards feel good to give a child. Rewards are never given in the moment of misbehavior. That’s a bribe. If a child asks, “What will you give me if I…” that’s a bribe. 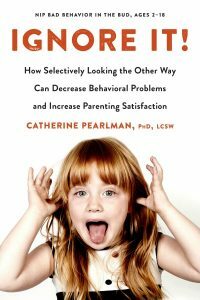 Catherine Pearlman, PhD, LCSW is the author of IGNORE IT! : How Selectively Looking the Other Way Can Decrease Behavioral Problems and Increase Parenting Satisfaction. She is the founder of The Family Coach and an assistant professor of social work at Brandman University. 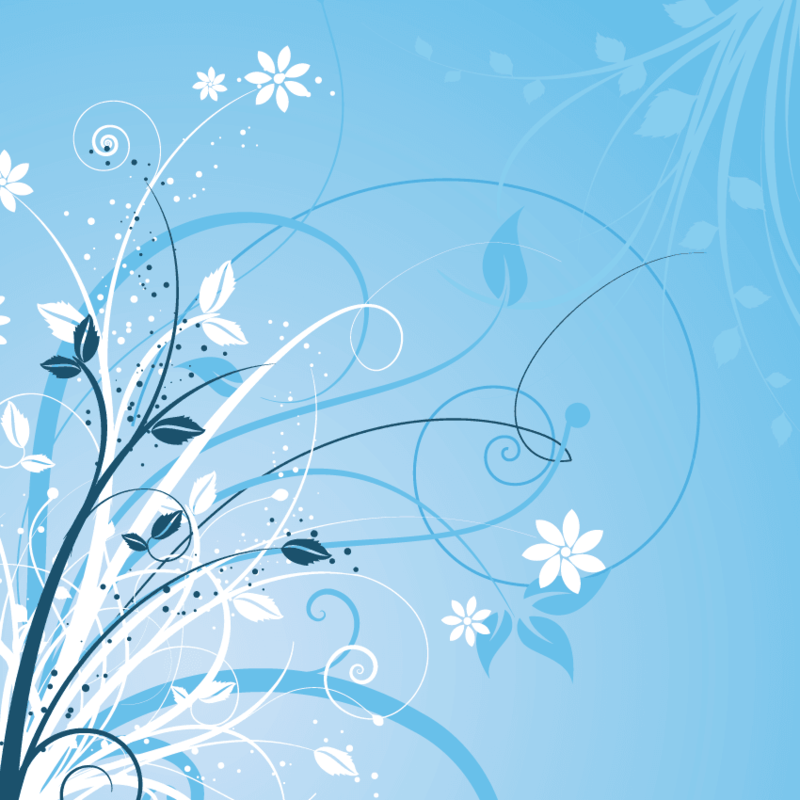 Follow Catherine on Twitter and Facebook.